In the United States, we celebrate the life and ideals of Martin Luther King, Jr. today. I am too young to remember King or the civil rights movement. However, as a began my journey back to Christianity, I came across the life and writings of King. I was incredibly impressed with his deep Christian faith and his use of Catholic moral law to support his nonviolent actions to promote civil rights. Perhaps the most prominent example of this combination is King’s actions in 1963 in Birmingham and the related Letters from a Birmingham Jail. According to Wikipedia, The Birmingham Campaign began on April 3, 1963, with coordinated marches and sit-ins against racism and racial segregation in Birmingham, Alabama. The non-violent campaign was coordinated by Alabama Christian Movement for Human Rights and King’s Southern Christian Leadership Conference. On April 10, Circuit Judge W. A. Jenkins issued a blanket injunction against “parading, demonstrating, boycotting, trespassing and picketing”. Leaders of the campaign announced they would disobey the ruling. On April 12, King was roughly arrested and put in jail. As church leaders, we confess we have tended to emphasize our responsibility to obey the law while neglecting our equal moral obligation to change laws that are unjust in their substance or application. All too often, the political involvement of Christians has been guided by the pursuit of personal or group advantage rather than a biblically grounded moral compass. We confess it is too easy for those of us who are privileged to counsel others simply to “wait”—or to pass judgment that they deserve no better than what they already have. Dr. King and Christian Churches Together set a high standard for all of us to follow. I pray today that I may have the wisdom and courage to follow their example. This entry was posted in Uncategorized and tagged 1963 Civil Rights March, Birmingham, Catholic, Catholic moral law, Christian, Christian Churches Together, Civil Rights, Letters from a Birmingham Jail, Martin Buber, Martin Luther King, Martin Luther King Jr., moral law, nonviolence, peace, philosophy, response to Letters from a Birmingham Jail, St. Augustine, St. Thomas Aquinas, unjust law. Bookmark the permalink. Anyone having the opportunity of visiting the Martin Luther King, Jr. Center in Atlanta should seize it. It’s both very instructive and moving. 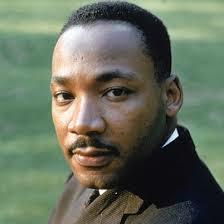 As to MLK’s writings, they are definitely very inspiring and impacting. Claire, thank you for the heads up on the MLK center in Atlanta. I have not yet visited it but it is on my list of things to do before my kids head off to college. Appreciate the recommendation. Will trry it out.